Sirin Labs has delivered on its promise to announce a ludicrously expensive smartphone with "military-grade security" today, revealing the 'Solarin' accompanied by a £9,500 pre-tax price tag (around US$14,000). 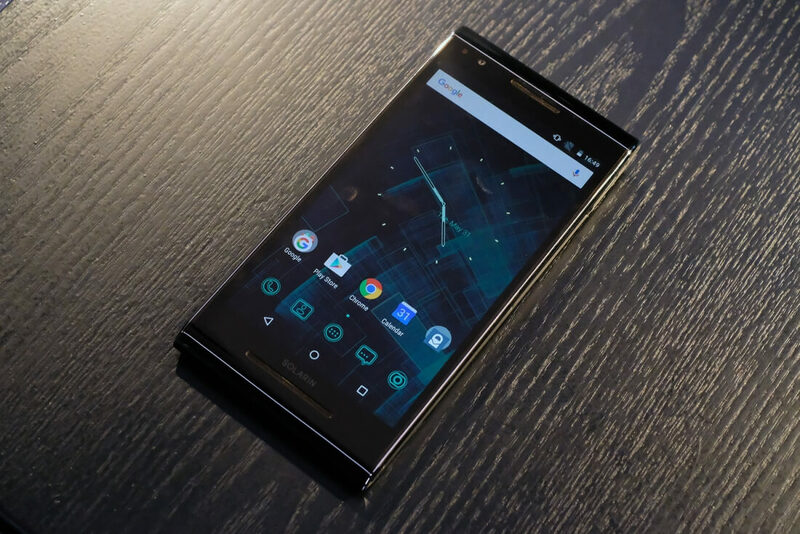 If you were expecting to get the latest and greatest hardware in the Solarin – after all, the company describes this devices as the "Rolls-Royce of smartphones – you'll be disappointed. The handset packs a 5.5-inch 1440p display and a last-generation Qualcomm Snapdragon 810 SoC, as well as a 24-megapixel camera described by The Verge's Vlad Slavov as "immediately unimpressive". Other hardware features include a large 4,000 mAh battery, 4 GB of RAM, 128 GB of non-expandable storage, a fingerprint sensor, and a massive, thick body that weighs a solid 250 grams. On the software front you're left with outdated Android 5.1 and a heavy skin with a spy aesthetic. The main selling point to the Solarin is a "security switch" on the back of the device that enables a locked down and secure mode, allowing the user to place secure phone calls and send encrypted messages. The secure mode also disables sensors and hardware features, and all data is protected by 256-bit AES encryption. Is this sort of security worth the $14,000 price tag? Probably not. But Sirin Labs is certainly after a niche set of users that would pay such an exorbitant amount of money to supposedly keep their data safe.